Last month, I attended Melanin Beauty Live. 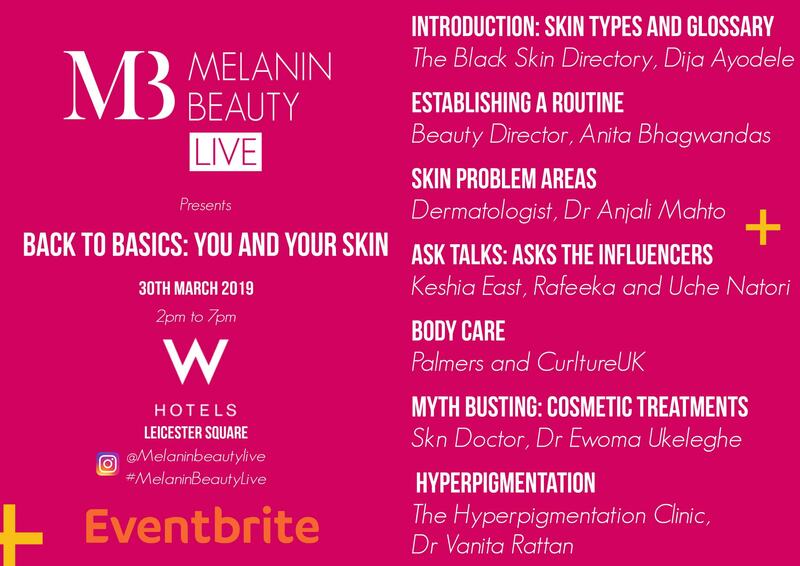 Melanin Beauty Live is a series of beauty events that aim to empower women of colour. Their latest event, Back To Basics: You And Your Skin, was held at the prestigious W London Hotel in Leicester Square. 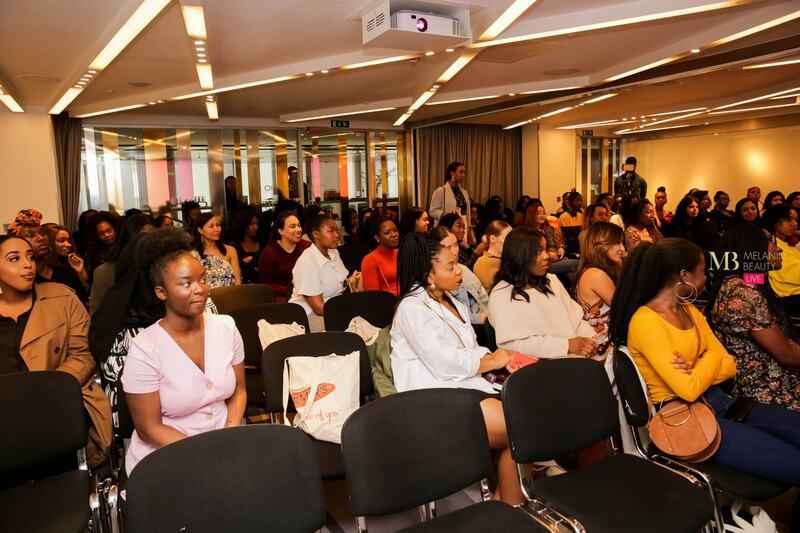 In addition to listening to some of the most skilled and knowledgeable women of colour in the beauty industry, guests were given the opportunity to ask questions and participate in exercises, most of which were designed to address any misconceptions about dark skin. Unfortunately, I missed the first talk, which was all about different types of skin. For those of you who aren’t aware, the four main skin types are: normal, dry, oily and combination. (Depending on where you look, some skincare experts may class sensitive skin as a skin type, however most combination skin does tend to be sensitive). Eliminate moisturizer – According to Beauty Director Anita Bhagwandas, moisturising isn’t the way forward for oily/combination skin types. Some moisturisers can clog pores, which can then lead to blackheads and even acne. My opinion is that skin shouldn’t be deprived of moisture at all – as this can leave it looking dry and you’ll lose a layer of protection. If your skin is extremely oily, you may want to look into investing in a moisturiser that is lightweight and non comedogenic (meaning it won’t block your pores). Nakin’s Nautral Anti-Ageing Matt Formula Face Cream is perfect for oily skin. It’s silky, leaves the skin feeling soft and offers hydration too! Ditching moisturiser is something I wouldn’t recommend because using it has so many benefits. Stop using wipes – Was I the only one who didn’t know that wipes could be doing your skin more harm than good? Makeup wipes have been linked to breakouts, irritation and even allergic reactions! According to dermatologists, wipes aren’t great at getting rid of excess oil so it’s likely that residue will still be left on your skin. Instead of using wipes to remove your makeup, try an oil cleanser or micellar water. Either one will get rid of all makeup and leave your skin feeling and looking fresh. I’m using Nivea’s MicellAIR Water for sensitive skin and I’m quite impressed. With two cotton pads, all of my makeup is gone. Once my makeup is removed, I wash my face with Neutrogena’s Visibly Clear Pink Grapefruit Daily Scrub. Always wash your face after makeup removal, and don’t forget to cleanse, tone and moisturise too! Invest in your skincare – Throughout her talk, Anita stressed the importance of investing in your skincare. Investing in your skincare is rarely talked about and I think it’s partly due to the fact that we live in a social media age and once our favourite influencer has hailed a product as ‘the best thing since sliced bread’, we automatically assume it will be perfect for us too! This isn’t always the case because everyone has different skincare needs. You may find that premium products may give you the results you desire, so don’t turn a blind eye to this. From my own experience, I’ve found that alternating between premium and high street products is something I’ve had to do in order to give my skin the care it deserves. My moisturiser is £3 but I use a £50 serum and a £30 SPF cream. Branching out on pricier skincare products may seem like a financial burden, but if they happen to do the job, you definitely need them on your tabletop. Face mapping isn’t 100% accurate – This is according to Anjali Mhato, who is a Dermatologist. If you use a face map, it’s time to stop. She also revealed that there is no correlation between the amount of water you drink a day and the condition of your skin. These are all myths some of us have abided by for years, face mapping in particular. Whenever I saw a spot on my forehead, I assumed I was stressed or there was an issue with one of my organs. The key to great skin is adopting a good routine and eating fruits and vegetables. For those of you who don’t eat as much fruit and veg as you should, I recommend trying as many of you can and then establishing which ones are your favourites. I can’t do without pears, pineapples, strawberries, bananas and raspberries and my favourite vegetable is broccoli. Don’t force yourself into eating lots of fruit and veg (especially if it’s something you don’t do) – take your time and most importantly, eat foods that you actually like! Stop using lots of products at the same time – Another tip shared was focused on the usage of products. Using lots of products at the same time isn’t good for the skin. Women’s skin, in particular, is very sensitive so if we use too many products, our skin won’t know how to react. According to Anjali, it takes TWELVE weeks before you know whether a particular product actually does what it says on the packaging. In this period, I also think it’s important to look out for any breakouts or signs of irritation. If you experience any of these, discontinue use of the product immediately. Embrace the acids – Any products with salicylic, lactic, glycolic, hyaluronic, kojic and mandelic acid are said to work wonders on the skin. I won’t go into what each acid does for the skin – you can find that information here. The acids I’ve found to be effective are glycolic and salicylic. It’s a case of trial and error really. Once you’ve identified your skin’s needs, you’ll be able to make an informed choice. If you would like to start using acid based products on your skin, then Revolution Beauty’s Mild Skin Exfoliator (-5% Lactic and Hyaluronic Acid) is a good place to start. It improves the skin’s look and encourages the appearance of radiant skin. Retinoid is also another skincare ingredient that was mentioned by almost every speaker. Women of colour need sunscreen – It’s a misconception that people of colour, especially women, don’t need to wear sunscreen. Forget the fact that we don’t get sunburned, we need protection from the sun. Using an SPF of at least 15 is recommended by experts. Something to bear in mind when it comes to sunscreen is that it should blend into your skin easily. Some sunscreens give the skin a greyish look and that shouldn’t be happening. Also, pay attention to instructions on the packaging, with some creams you have to wait a certain amount of time before you are exposed to the sun. I actually bought a sunscreen that was recommended by Anita (Beauty Director). It’s the La Roche-Posay Anthelios XL Anti Shine Dry Touch Gel Cream. It doesn’t leave any marks and it gives my skin the protection it needs. As for the anti-shine claims, it’s early days so I will keep you guys posted. Take Vitamin D supplements from October to March – Supplements are questionable because a lot of people forget that they aren’t actually a substitute for a healthy lifestyle. I’ve taken a few in the past, let’s say, 10 or so years and honestly speaking, the only one I found very effective was Perfectil’s Hair, Skin and Nails. When the weather gets colder, we are deprived of Vitamin D and this can wreak havoc on the skin. Vitamin D is an anti-oxidant and it contributes to the skin’s cell growth, repair and metabolism. Taking a Vitamin D supplement will keep your skin protected and rejuvenated all through the winter season. Don’t use too many oils on your face – There was a brief period where oils were having a moment: everyone seemed to be using them for everything. Oils are filled with anti-oxidants which are good for the skin but they can also clog pores. So, if you have oily skin and you are thinking about using an oil, less is definitely more. Oil cleansers and facial oils are completely different from each other. Oil cleansers are light while facial oils tend to be quite thick, so don’t confuse the two. These are just a few of the tips that I picked up and I’ve found them to be quite useful – especially the one about the acids. When you think of acids, you don’t really envision improved skin, and not everyone will be able to experience its benefits so I’m glad I’ve found two that are working for me. One thing I will say to WoC especially is: don’t assume that makeup will cover all of your skin’s imperfections. Remember that your skin is your first base, so taking care of it is essential. A good skincare routine will have your makeup looking flawless. Find out what works for you, do more of it and you will see results. Always use a primer – ideally one that controls oil. Carry blotting papers with you – these ones from NYX are perfect for use on the go. Oily skin is sensitive in it’s own unique way – so always set your makeup. 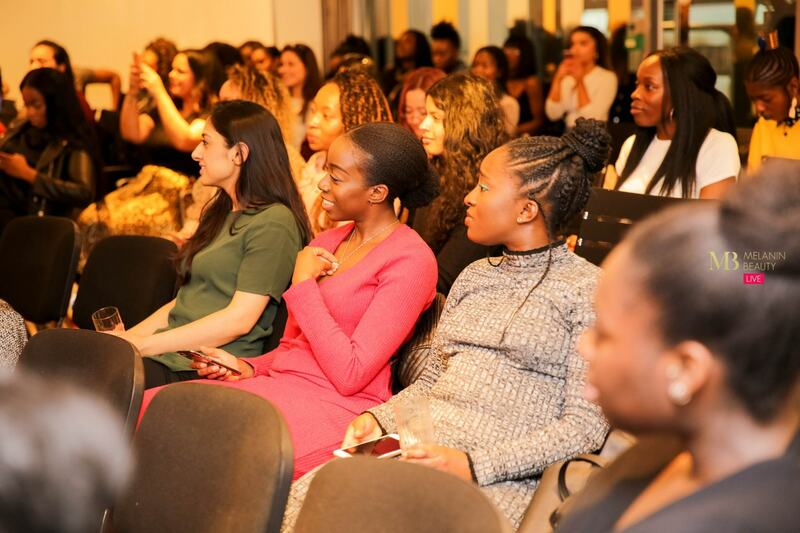 I hope you have enjoyed reading this post – it was a pleasure to go to Melanin Beauty Live’s event and I’m looking forward to their next one in September. As always, I love to hear from you all so if there were any tips in particular that you will be taking on board, do feel free to leave a comment below. Please note that there are affiliate links in this post. This means that if you purchase one of the products I have mentioned, I may receive a small commission. All views are my own. This event looks so fun with so much tips to take away! I loveeeee make up I’ve always wanted to attend some sort of event but I haven’t! I need to put this on my to do list! And great raw photography by the way!